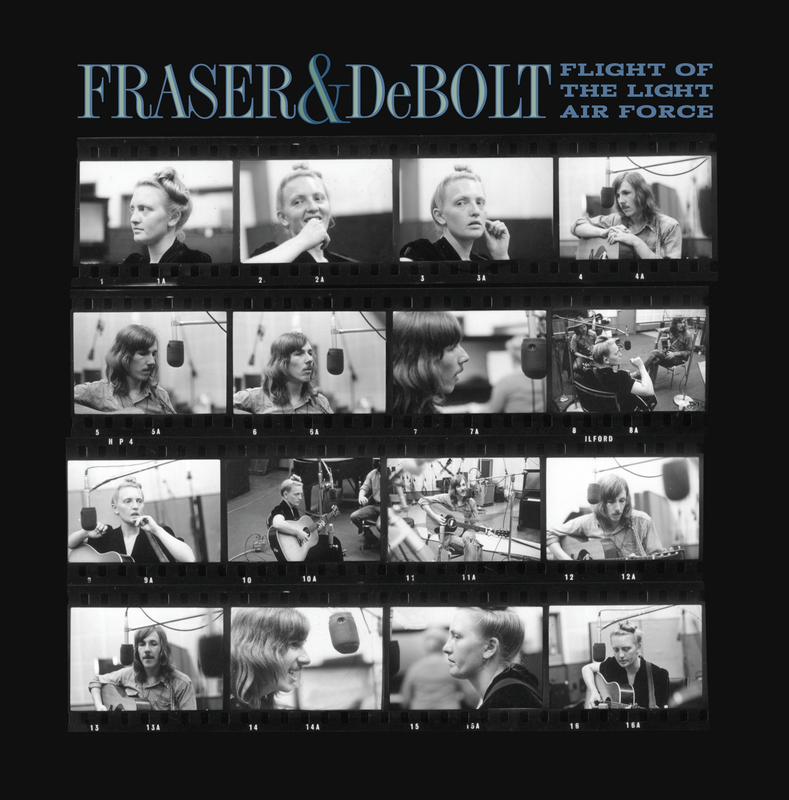 A companion EP to the recent double LP retrospective This Song Was Borne, Flight Of The Light Air Force features three exclusive tracks by cult favorite psych-folk duo Fraser & DeBolt. The majestic title track is an outtake from their second Columbia LP With Pleasure; left off that album for reasons of space (it clocks in at 8 minutes), it would’ve easily been the finest song on the record & a highlight of their career. On the flip side, we have two cuts recorded live at a February 1970 concert in upstate NY, as performed by Fraser, DeBolt & violinist Ian Guenther : their signature song “Dance Hall Girls” and a rollicking version of the Stones’ “You Can’t Always Get What You Want.” Fraser & DeBolt are a secret handshake among those who know : come acquaint yourself. Digital download included.